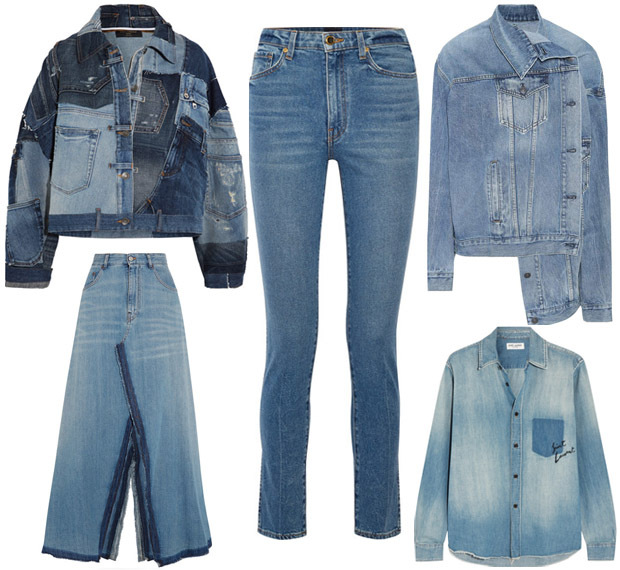 Denim—in its many forms—is an eternally classic trend. But, Paris Fashion Week saw a number of darlings take their blues to the next level with head-to-toe looks. And, what can we say, they certainly have good jeans, with this trio of unique Canadian tuxedos serving as proof. At the Irving Penn exhibition private viewing, Charlotte Le Bon put her Christian Dior Fall 2017 denim to work for her with a work-wear aesthetic that took on casual-chic proportions. Speaking of proportions, Bianca Brandolini d’Adda maximized hers at the Valentino Spring 2018 show with her Valentino Resort 2018 two-tone denim outfit. Though it also capitalized on the baggy and distressed trends, the end result was a cool-girl look done right. When Erika Boldrin hit the streets of Paris, all eyes were on her in this oversized Balenciaga asymmetrical denim jacket that was so artfully askance that it even drew attention away from her vibrant accessories including a Loewe ‘Puzzle’ bag. I love how she partially tucked in the jacket to heighten the effect. 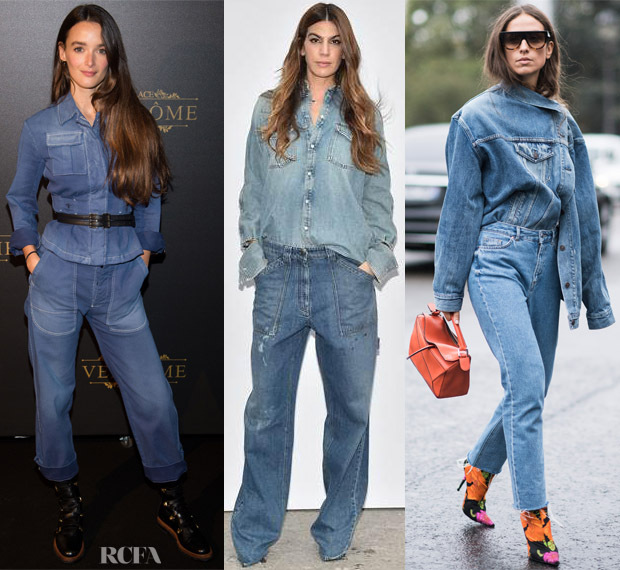 What did you make of the jean pool that hit Paris Fashion Week?